888poker XL featured their signiture Crazy 8 tournament on Day 3. 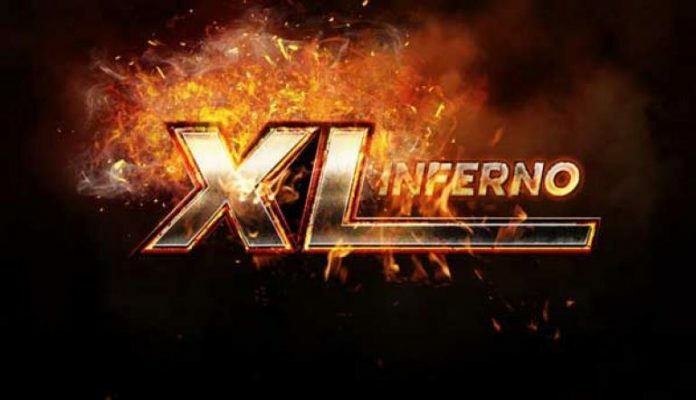 Day 3 of 888poker’s XL Inferno series focused on their signature Crazy 8 tournaments. Three tournaments guaranteeing, you guessed it, $80,000 in total prize pools. After two days of knocking it out of the park in terms of attendance, the online crowds on Saturday slowed down a little – perhaps saving some energy for Sunday’s massive XL schedule – and two out of the three tournaments provided a little extra value to players in terms of overlay. The day brought three new XL Inferno Champions, all of which will have their opportunity to vie for one of the $2,700 packages that will two players to the World Series of Poker in Las Vegas to play the live version of the Crazy 8’s tournament that gets underway on June 30. The first event of the day was the $88 buy-in version of the Crazy 8 tournament. Attendance was a little light with 438 entries, 153 of which were rebuys. This put those who did fire up the online poker client in a great spot to receive some extra value as the tournament provided about $15,000 in overlay (just over $11,000 if you roll the rake into the prize pool). Any way you look at it, there was some big-time extra money up for grabs. So the prize pool was an even $50,000 and everyone from 8th place on up was going to earn a minimum of $1,000. The top prize of the day, however, was won by ‘eltxupacabra’ when they defeated the UK’s ‘ITonya’ head-up after ten and a half hours of play. eltxupacabra’ took home $9,500 while the British player settled for $7,000 as the runner-up. PocketFiver ’n0tori0us_B’ from Lithuania made a run at the final table, bowing out in sixth for $1,750 which he will add to his over $750,000 in lifetime earnings. He was preceded by fellow PocketFiver ‘FuzzyWigg’ who banked $1,000 for eighth place. The Mini version of the Crazy 8 tournament seems to hit the spot with the players on 888poker as 1,317 entries paid the $8.80 entry fee to surpass the $15,000 guarantee by $384. The Mini Crazy 8 wrapped in just over ten hours with 160 players earning a return on their buy-in. ‘buldos’ emerging as the victor, joined the XL Champions club, and made the largest return on their $8.8, turning it into $2,769.80. The runner-up, ‘PhoenixRuffy’, did well for themselves also, earning eight cents shy of $2,000. As is usually the case with the late tournaments, they speed to a conclusion with the $44 Late Crazy 8 taking almost four hours less time to complete that of the $88 tournament. 271 entries, 71 of which were rebuys, left the tournament just shy of the guarantee. Altogether, there was a little over $3,000 in overlay to be picked up by the late registering players. ‘Kaktus26rus’ added yet another XL Championship title to his resume by winning the Late event for $2,925. In September 2017, he earned a win during XL Eclipse and now he’s an XL Inferno champion as well. Right behind him is current XL Inferno champion ‘psyhoagromor’ from the Ukraine who, just days ago, took home over $22,000 for a victory in Event #1. Had ‘psyhoagromor’ finished in first, he would have been the first to claim the $1,000 bonus 888poker is handing out for double event winners. Instead, the Ukranian would settle for an additional $2,175 and the notion that he’s continuing to have an excellent XL series.